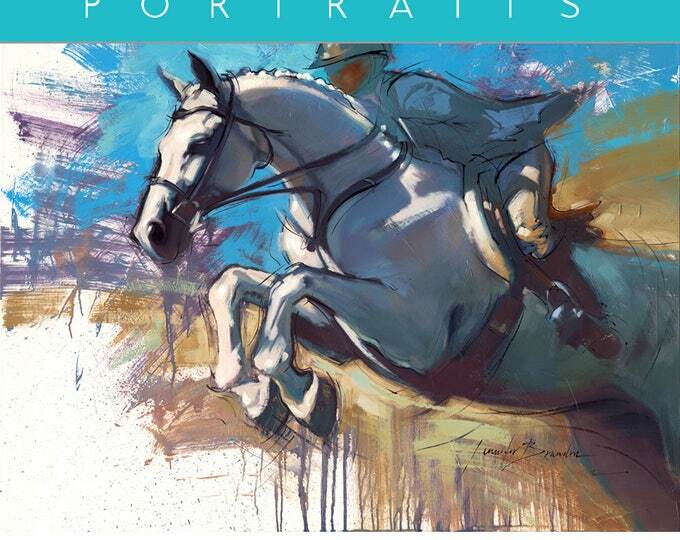 Legendary horseman Bernie Traurig has a new DVD series out now! 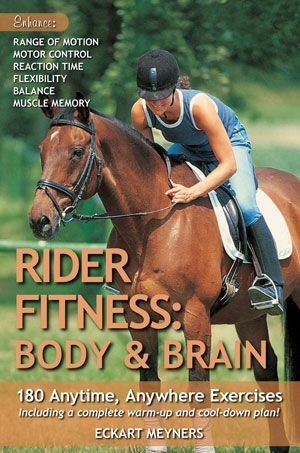 TSB: EquestrianCoach.com is a phenomenal website and portal to a broad selection of extremely well demonstrated equestrian tips, techniques, and sport-specific know-how. 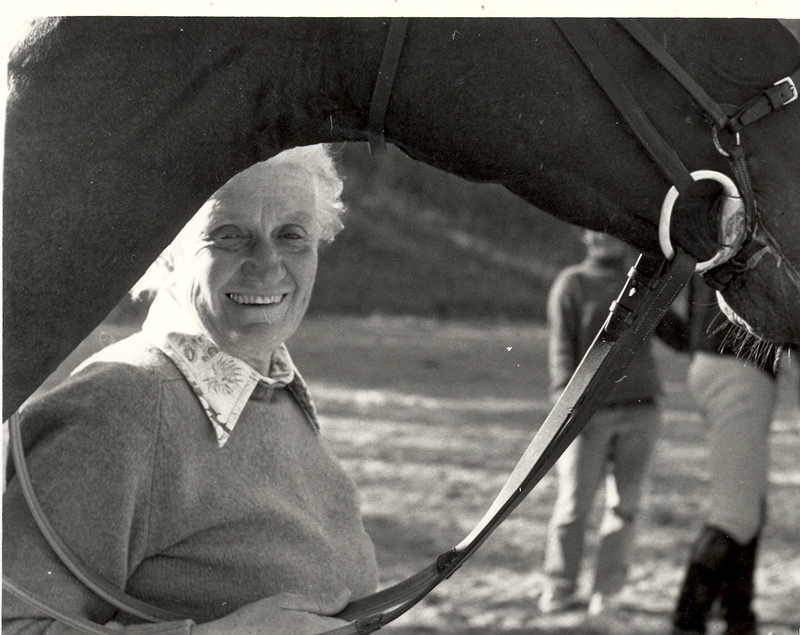 The site says it was created “to make quality education accessible and affordable to every equestrian, regardless of their background, their level, or their geographic location.” Can you tell us a little about the inspiration behind EquestrianCoach.com, how it came together, and what your hopes are for it and for your subscribers in the future? BERNIE: I was really fortunate to have been educated by some of the very best Master Instructors in this country and the world. Not everyone has access to those top people. One of the reasons I travel a great deal as a clinician is because it is fulfilling to me to spread quality education. 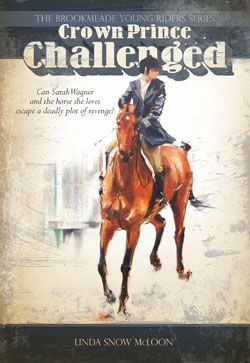 EquestrianCoach.com was born out of my desire to reach people who are hungry for more education, and I knew the Internet could serve that purpose. 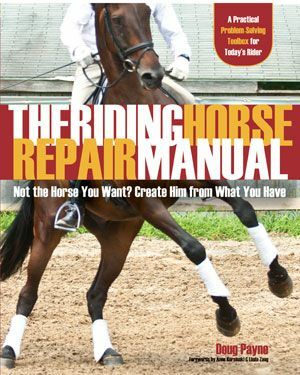 Having been a professional horseman most of my life, I was clueless as to how to go about making my vision a reality however. From the building of a viable website, to streaming content, to video editing—it’s been quite a journey and an education in itself to get to this point and there’s so much more I still want to do. We have some exciting surprises in store for our great subscribers coming up in the next few months, but I’m not ready to go public with them just yet! 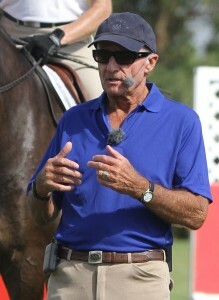 TSB: EquestrianCoach.com already features instruction in high definition, delivered to your computer, tablet, or mobile device, from top trainers, riders, and coaches in many of the most popular equestrian sports. 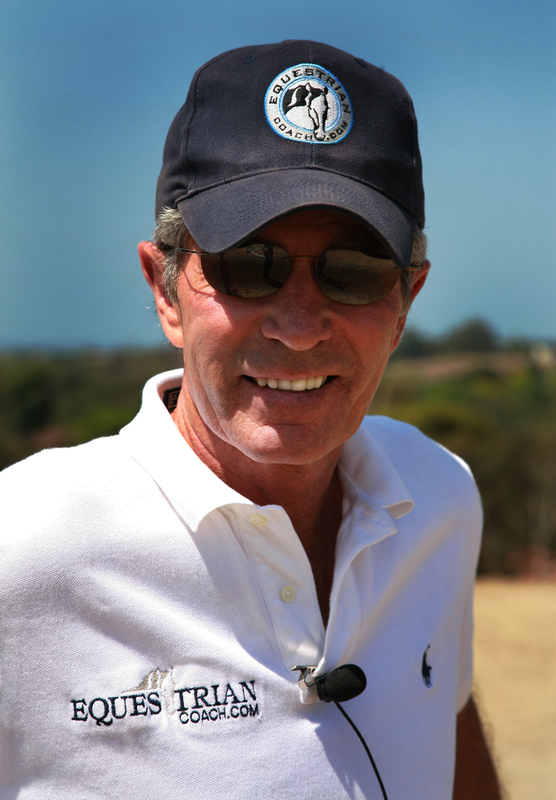 The site features training videos not only from you, but from other big names in the industry, such as George Morris, Denny Emerson, Tim McQuay, Debbie McDonald, Laura Kraut, Archie Cox, Tom McCutcheon, and Axel Steiner, to name just a few, along with dozens of other experts, including veterinarians, stable management specialists, course designers, sport psychology coaches, equine dentists, and many, many more. 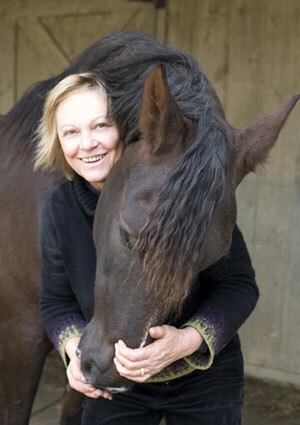 Why do you think EquestrianCoach.com provides an optimal forum for sharing the knowledge and experience of such a diverse group of horsemen and women? 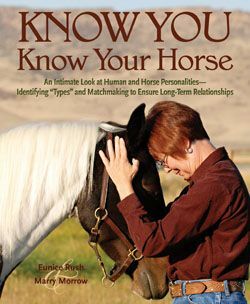 How do you determine who best suits this method of dissemination of horsemanship? Who do you hope to include on the site in the future? BERNIE: If you have been in this business as long as I have, you meet a lot of talented, qualified people along the way. I’m proud to have developed friendships and associations with some of the best professionals throughout the industry and prouder still to be able to call on these people to share their knowledge on our site. Because there are so many facets to the sport and so many different types of experts, I feel strongly that we should provide a broad spectrum of expertise to address the many different areas of focus. I like to keep my upcoming guest coaches under my hat, but I can guarantee we will continue to deliver the industry leaders. 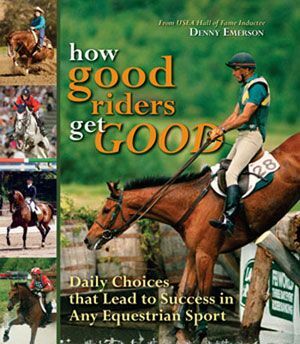 Whether they are riders, trainers, farriers or nutritionists, they will all be top horsemen. 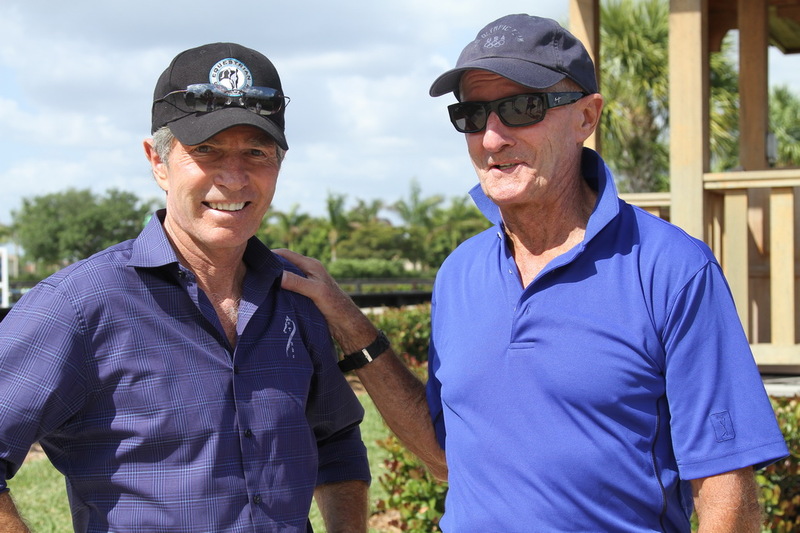 Bernie with his good friend, former US Show Jumping Chef d’Equipe George Morris. TSB: TSB is releasing seven DVD programs in conjunction with EquestrianCoach.com. 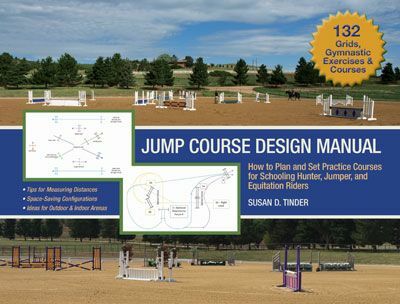 These include your own series THE AMERICAN HUNTER/JUMPER FORWARD RIDING SYSTEM, as well as two programs from George Morris and another from USEF “R”-rated hunters/hunter seat equitation judge Cynthia Hankins. 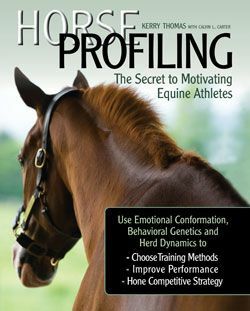 Why did you decide to take these programs, originally produced for EquestrianCoach.com, and release them in DVD format? 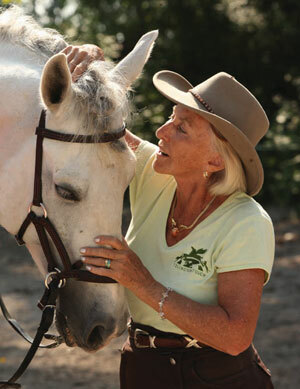 What is it about these programs in particular that you felt should reach beyond the EquestrianCoach.com subscriber base? 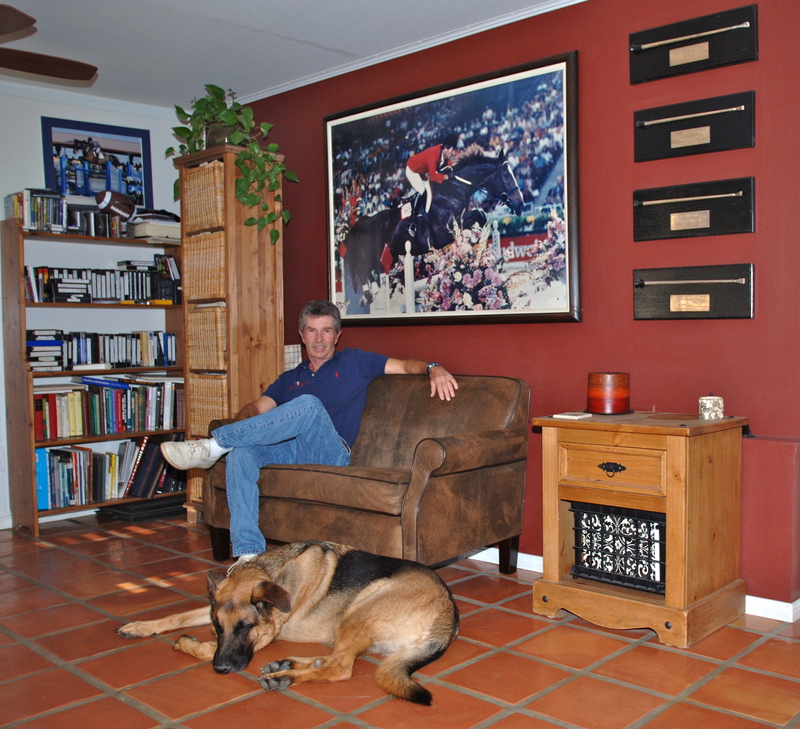 BERNIE: I personally have a huge collection of books and videos by many masters of the sport that I often refer to out of professional interest or just to keep that gray matter tuned up. I thought about what videos on the site could serve as that sort of reference tool that someone could go back to time and again for information and these were my picks. 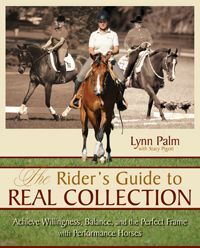 They represent timeless, classical and correct forward riding, and I believe they all should be part of any serious rider’s resource library. 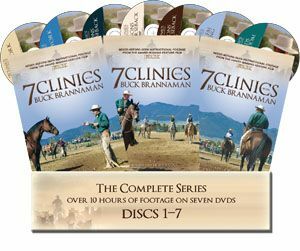 I like having these videos in DVD format because there are quite a few serious equestrians out there who are perhaps not terribly computer savvy or enjoy watching them from the comfort of their living rooms instead of from behind the computer screen. 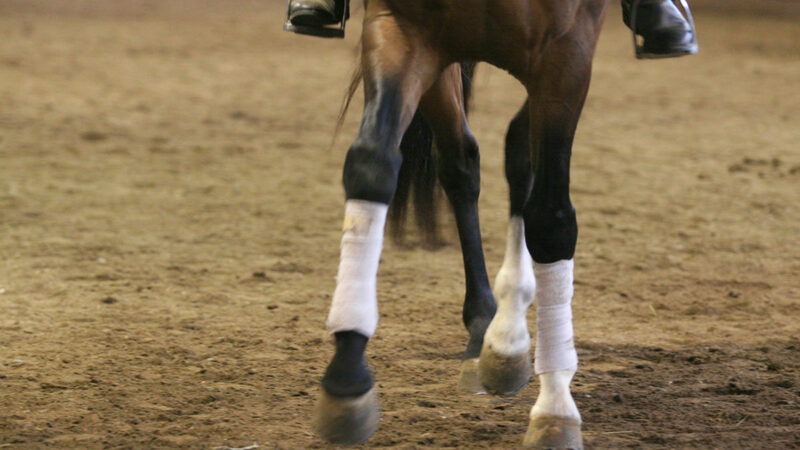 Additionally, the DVD format is convenient for instructional purposes in places like collegiate equestrian programs where teaching solid and fundamental riding and training techniques to students is so important. Bernie in his library at home–he has a large personal collection of books and DVDs from which he’s gleaned information over the years. 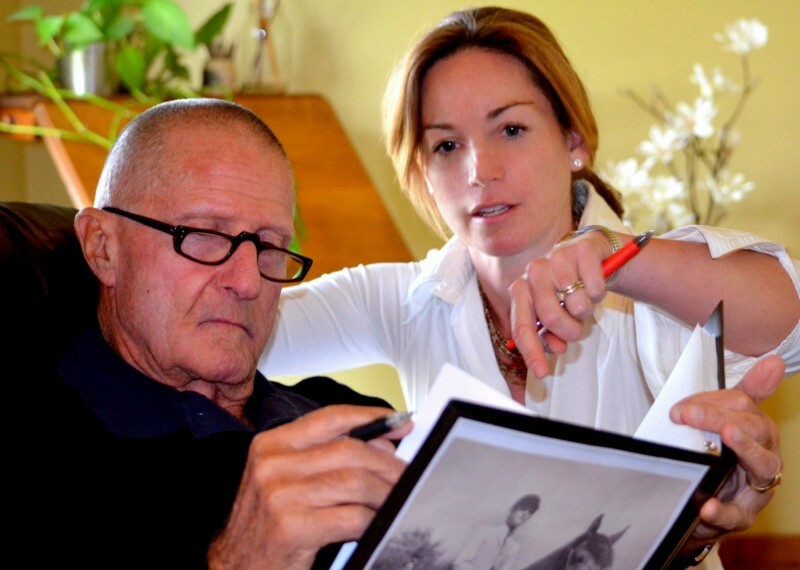 TSB: You are a unique equestrian in that you have competed at the highest levels in all three international Olympic disciplines—show jumping, eventing, and dressage—as well as being inducted into the National Show Hunter Hall of Fame. 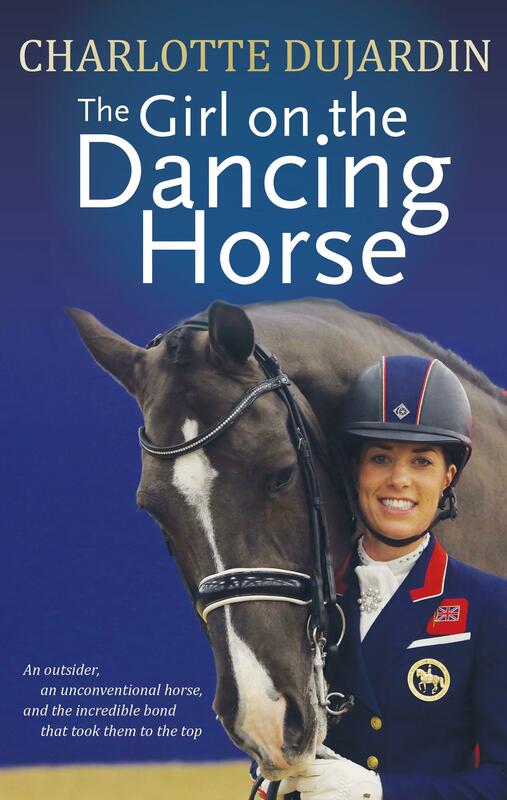 What are the benefits of having such diverse experience in the world of horses and why should others seek opportunities to dabble in other disciplines? BERNIE: I honestly believe that you never stop learning and that you can take bits and pieces of information from any discipline and apply what works for you. 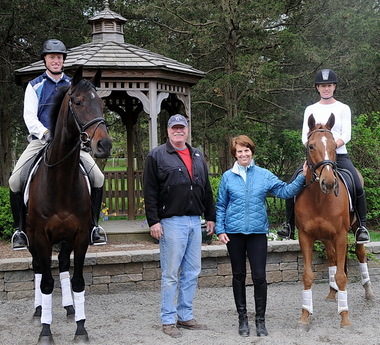 I know that I evolved into a better jumper rider after I took a few years to pursue dressage and to this day, there are things I learned from my youth as a steeplechase jockey that serve me as a horseman as well. 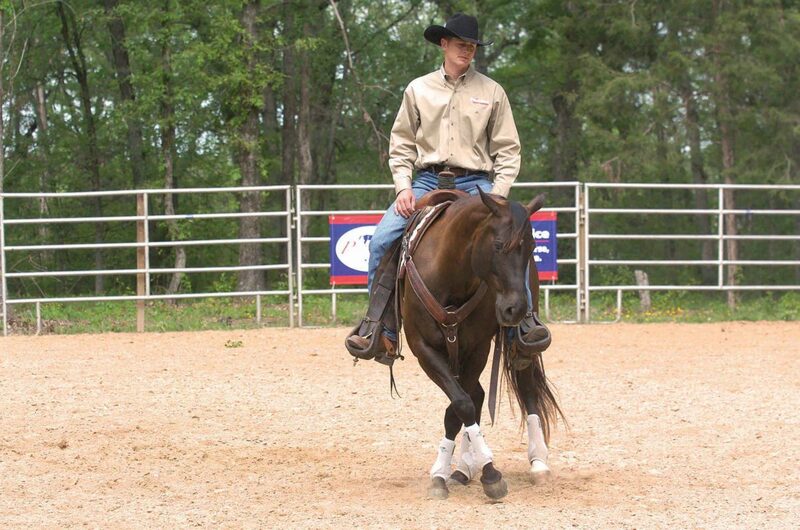 The horse is the common denominator and you can learn to be a better horseman by using the best methods regardless of their origin. 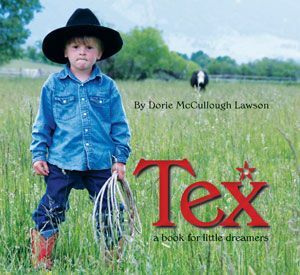 BERNIE: The first time I sat on a horse was when my mom took me on a trail ride, just the two of us, at Whitey’s Rental String in Long Island and I was eleven years old. She had me on a lead line and… read the next question and answer to see how that went! BERNIE: So the horse I’m on goes nuts, Mom freaks out, I fall off (winded but fine), she made me swear not to tell Dad and, miraculously, I wanted to ride some more!! TSB: If you were trapped on a desert island with a horse, your laptop, and WiFi, what breed of horse would it be and which movie would you stream? BERNIE: It would have to be a breed that wants to watch Top Gun with me! What would that be? Hmmmmmm. 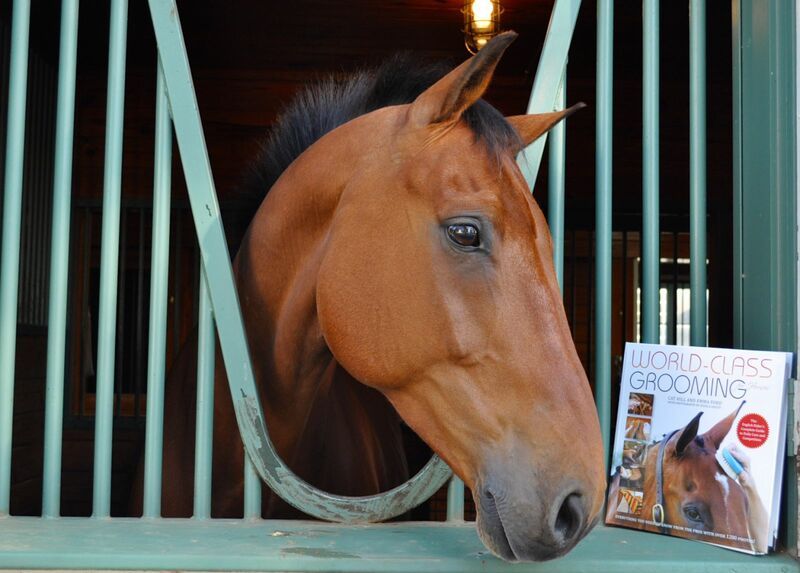 Maybe a Thoroughbred? Something with an engine! BERNIE: It’s a three-way tie between understanding, compassion and forgiveness. 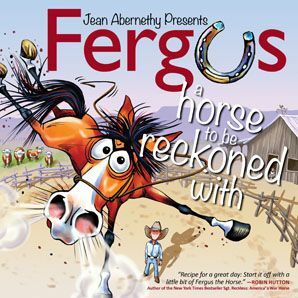 BERNIE: A horse that quickly grasps the language that I’m using to communicate, that gets it and wants to carry on a conversation with me as a willing partner. BERNIE: I haven’t done it all, but you’ve stumped me on that one! BERNIE: Perfect practice makes perfect. 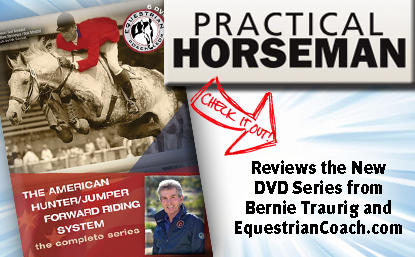 Bernie Traurig’s new DVD series THE AMERICAN HUNTER/JUMPER FORWARD RIDING SYSTEM is available now from the TSB online bookstore. 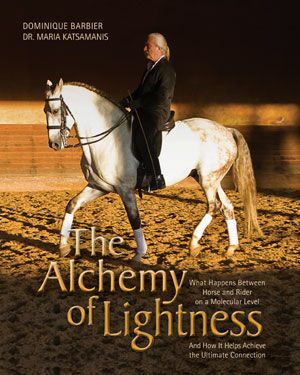 Click image to order Bernie Traurig’s new DVDs from http://www.HorseandRiderBooks.com! 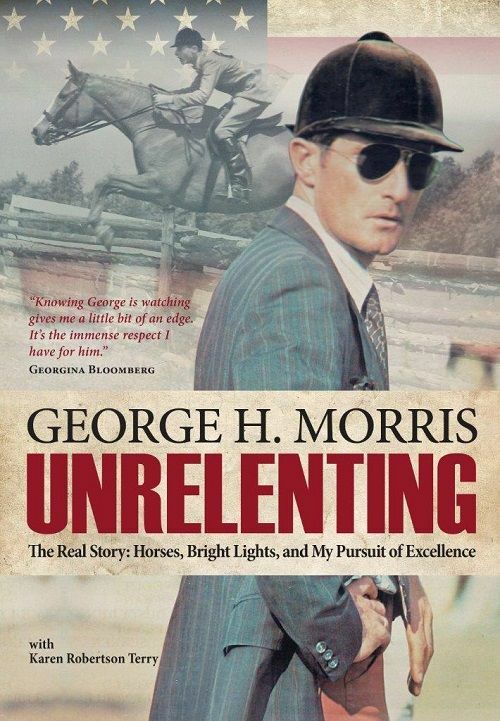 Plus, get the new DVDs from George Morris and Cynthia Hankins!